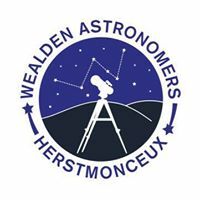 Wealden Astronomical Society will be at the Observatory Science Centre at Herstmonceux, Sussex on 12 August 2016 from 7pm. Come and see through our telescopes, look at planets, the Moon and much more and have a good time learning about them too. There is a good opportunity to see many shooting stars known as the "Perseids Meteor Shower".